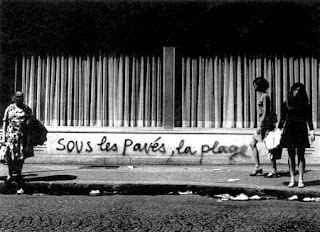 So there are two things you need to know about The Last Days of New Paris. Firstly, it's by China Miéville. If you don't know who that is, don't start here. If you don't like his work, this probably won't be the one to change your mind. That's important to remember, knowing Miéville, and liking Miéville, as I do, as I hope you do—because shorter-length Miéville is a very different creature than sprawling, long-form Miéville. There is a plot here, and a setting. 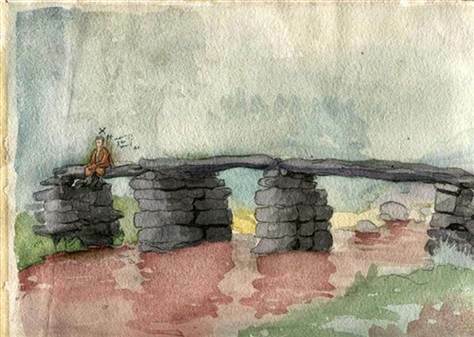 But there is not the sprawling, jumbled world-building of the Bas-Lag books. There is not the intricate, reversal-filled plot, the memorable cast, of The City and the City or Embassytown. This a novella: it can execute a few things very well, and I'd argue that Miéville has done that here. More story-driven than a short story, less richly embroidered than a novel. Keep that in mind. There's a third thing you should know about The Last Days of New Paris: you don't actually have to know much about surrealism to enjoy this, although it will certainly help. But let me back up a minute. The pitch: in Nazi-occupied Paris, an occult experiment gone awry creates the "S-Blast", a surreal explosion that twists reality in strange ways, bringing images and effects from art and poetry to life. A group of surrealist freedom fighters begin incorporating these "manifs" (manifestations, manifestos) into their fight against the Nazis. Who, it turns out, have struck a deal with Hell, summoning demons to strengthen the Reich's military. The structure of the novella is pretty straightforward: the main plot following Thibaut, one of the Main à Plume resistance fighters, while interspersed flash-backs tell the tale of the S-Blast's origins. 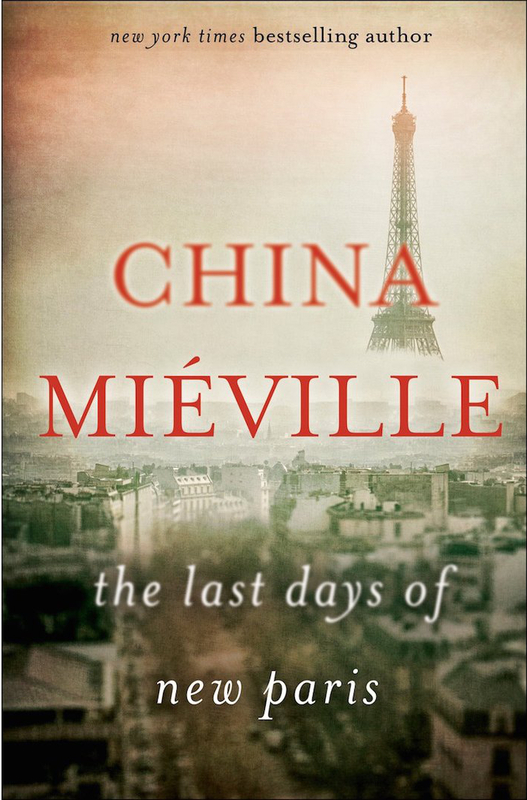 What I find fascinating about The Last Days is the way it highlights commonalities across Miéville's works. The whimsy of Un Lun Dun and Kraken; the heroically doomed revolutionary combat of Embassytown or Iron Council. 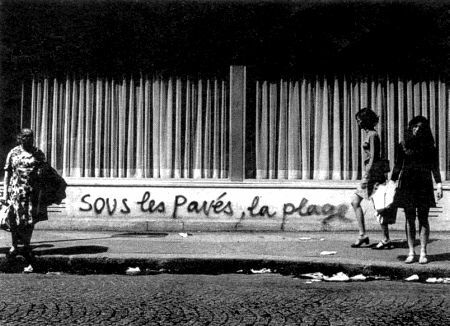 It's Iron Council that was most in my mind after reading this; I might almost say that The Last Days of New Paris clarifies that most overtly political of the Bas-Lag trilogy. 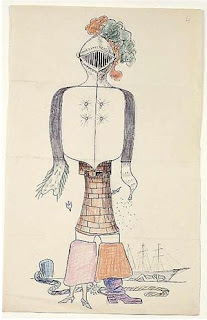 Thinking back over the artistic/political revolutionaries of the Runagate Rampant, they snap into focus a bit with André Breton & co. in mind. The S-Blast recalls Miéville's fascination with these discrete, traumatic breaks from reality—the Torque, the Scar, the Cacotopic Stain, while the bizarre manifs—against the backdrop of actual history, actual WWII—recontextualize Miéville's use of the bizarre and grotesque in Bas-Lag: both a way to read the horror of violence and oppression, and as a way out of the system. The deadly absurdity-attacks of Tesh, but also: Isaac and Lin at breakfast. The abominations of the slake moths or Motley, but also: the Iron Council itself, a utopia on the move. Perhaps the most powerful motif of Miéville's writing are the Remade, the magically/surgically altered prisoners of the Bas-Lag books. Nonsensical, cruel, Remaking rearranges bodies, fuses them with parts of animals, machines, and then sets its victims to work: a singularly brutal and incisive vision of self-alienation under capitalism, of the embodied violence of the military-prison-industrial complex, of the way the individual is bent and broken between machine and repurposed nature. And yet, where there is hope and joy in Miéville's work, it often stems from these combinations, from these hybrids. It casts the individual journey, not as one of discovery or fulfillment, but of evolution, of remaking, of working with what one has, past the scars, to something new. Tanner Sack in the water, embracing what he's become. So when the word "remade" shows up only once, on nearly the last page of The Last Days of New Paris, the attentive Miéville reader takes note. We're not in New Crobuzon, we're in Paris, a strange alt-history Paris where the Axis Powers are undefeated (though not victorious) in 1950, where demons as well as Panzers rumble past the cafes—but here is a remaking. The exquisite corpse, the visual Mad Libs brought to life, is a kind of Remade—and so is this Paris, stitched together from painting and sketch and poem. Although Miéville is pulling this imagery from a stock of Surrealist works (Miéville includes extensive notes if you want to look up specifics), the effect is so similar to his more wholly-fabricated worlds that there's a kind of double bleed-through: one begins to think about the actual Surrealists in terms of Miéville's fantastic revolutionaries, and one begins to think of his New Weird worlds in terms of Dada, in terms of the Situationist International, in terms of the storming of the Bastille and May '68, and whatever's still to come. All of which are very French examples, because that's where my head is reading this. Two last cool things on the plot. Hitler becomes the villain at the end in a way that's very surprising, and dare I say, fresh. 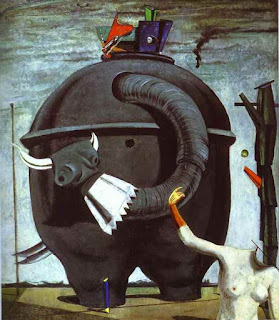 It's Hitler's artistic side, or lack thereof, in this world where art itself is coming alive, that threatens destruction. There's something really fascinating and oddly non-silly about this twist—a blandness, a blindness to people, an empty lust for order that eliminates all it can't comprehend, something you can't fight so much as efface, subvert, graffiti over, live against—that works wonderfully well, that gives a way to read the rest of Miéville's protagonists and antagonists, a way to read that fantastic struggle back into our real ones. Oh, and two: the Elephant Celebes saves the day at one point, and that is just awesome. 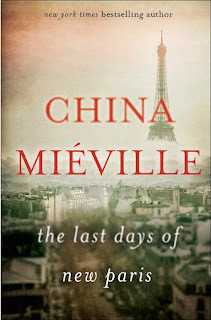 I sat down to write a review of The Last Days of New Paris, and my apologies if I've mostly written a list of obscure references to other Miéville pieces instead. I really enjoyed this. Though it's not of the caliber of his major works, nor as concise and punchy as his short fiction, this is nonetheless an imaginative and thought-provoking work, and, as I've indicated, it's made me rethink and reconnect his other novels. Don't come to this expecting the same kind of world-building you find in Perdido Street Station, and don't expect deep character studies either—this is a quick-moving plot, with really strange stuff flying by. A novella, not a novel, and the ideas are the important things here. If you are familiar with the Surrealists, or with the history and dramatis personae of occupied France, Miéville's references and redeployments might make this an enjoyable (or at least enjoyably aggravating) stand-alone work for you, whether or not you've read his other books. Otherwise, as I said in the beginning, this is for Miéville fans. As I see it, he's got 5 or so insanely good novels, a lot of other good work—so I'm perfectly happy to read something by him that's interesting, that's good, that may not top Iron Council or The City and The City in some epic innovative way. In This Census Taker and The Last Days of New Paris, Miéville seems to be trying out some stylistic experiments at shorter lengths. I'm more than happy to read along, especially if they hold up such interesting mirrors to his other work.